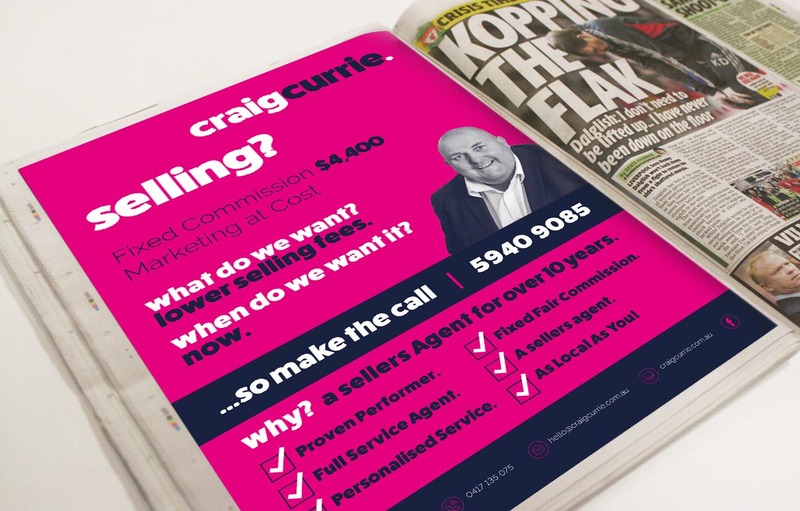 Local Agent Craig Currie approached Imprint in 2016, after making the decision to start his own real estate agency. 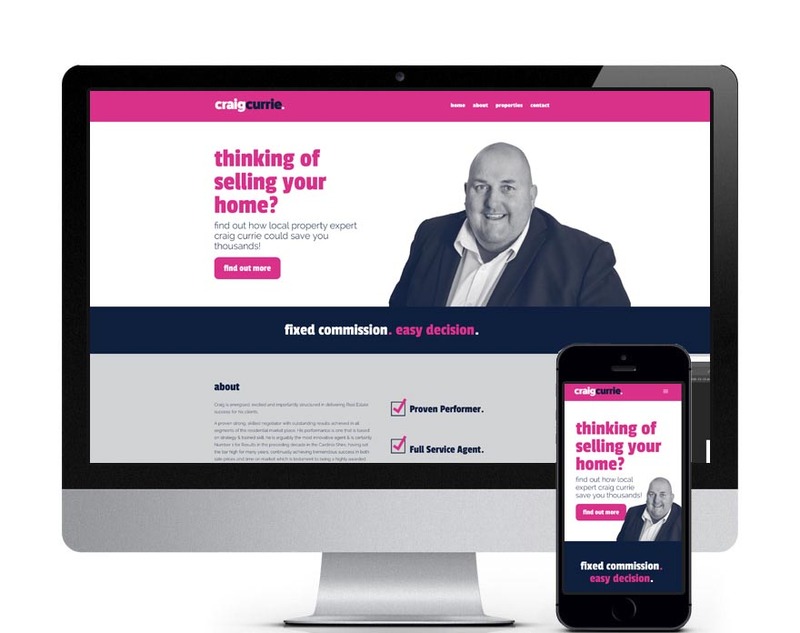 Craig has spent years honing his skills and building a sterling reputation in his industry. 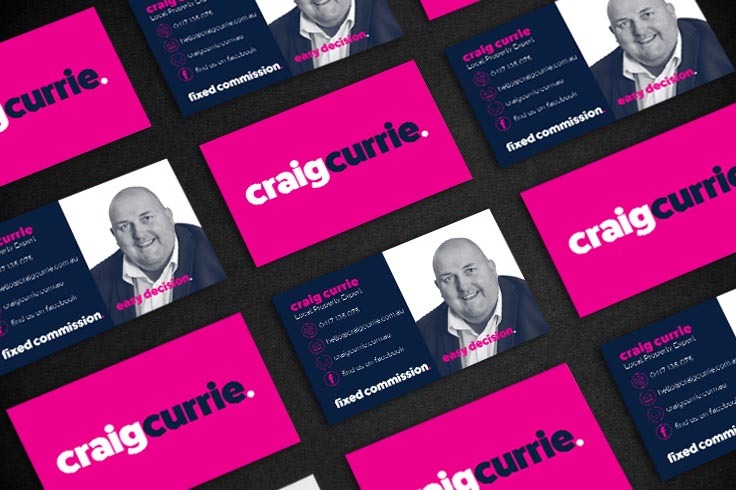 With a clear direction we worked closely with Craig to develop his brand to stand out in a crowded market place. I explored both options and ultimately for me independent was the the answer the only major challenge was that it was common that the marketing material and logos/branding for independent operators was one thing that let many down and it was essential that I got this right in fact it was the most important factor in my launch and a significant part my ongoing success particularly in a world that is dominated by brand, so I knew that I had to get this right, the hunt began to find a creative designer that not only ‘got it’ and ‘me’ but executed to ensure my dream became reality. After considerable research I short listed 2 brand designers/graphic professionals. After meeting both I selected Zach at Imprint as not only did I feel he appeared to get it, I found him very easy to communicate with and as we progressed I realised this was also going to be important as i was asking many questions and needed assistance as we progressed that may appear silly and naive yet Zach’s calm cool approach always put me at ease. I was absolutely knocked out with delight and so excited with Zach’s work, what was amazing and indicative of how he gets it, was the lack of changes required to the designs he nailed it practically first time every time, while he was very open to make changes they simply weren’t required he was bang on for each and every part of the branding, website and marketing designs. Nothing was too much trouble for Zach from assisting setup email addresses, stationary, printing, registering domains the list goes on. Beyond this and now the most important factor is the unsolicited feedback that I receive from the marketplace in regards to my branding and easy to use web is phenomenal. Imprint absolutely nailed the brief, execution, budget and after care & follow up. 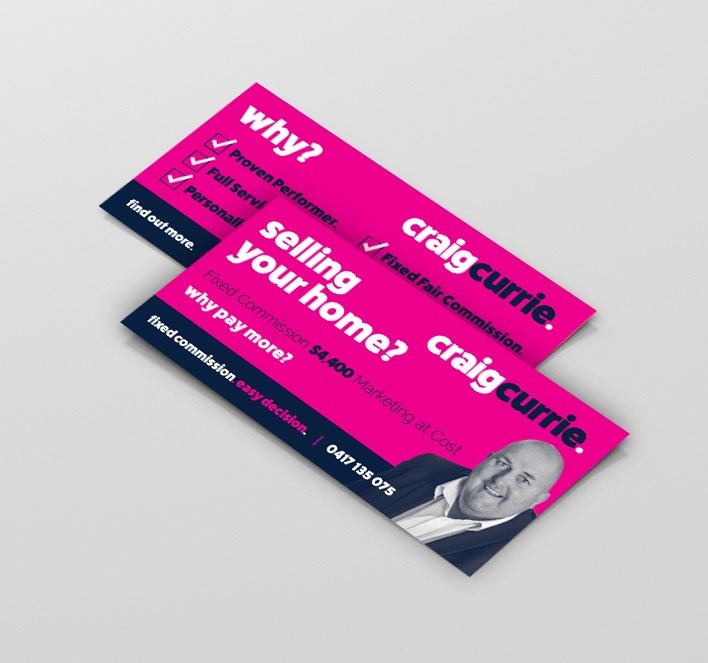 It gives us great pleasure drive around town and see Craig’s for sale board with big sold stickers slapped over them! If you have an upcoming project in mind, let’s chat!